Here you can check the list of whole transactions by selecting the appropriate period from selecting dates From and To. Click on Apply to get the transaction details in the selected period. 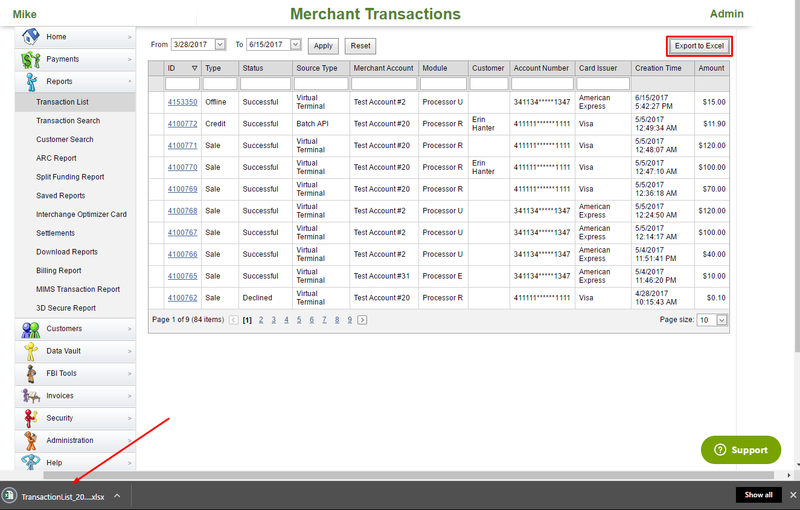 Also user can export the list of transactions by clicking on Export to Excel. export of the report less than 10 000.
export of the report that exceed 10 000 but less than 300 000.
export of the report that exceed 300 000.